Highly Recommend This item received punctual and in order. Thank you! Delivery was prompt, singpost a little slow but all good at least it did came. Hairband and bag stripe are good as shown. Nice and soft material, comfortable on head. Beautiful headband shiny and sparkling...!! Wrong item delivered, and i did not receive the items i bought at all! Hi, Dear buyer, sorry for the messed up. you may exchange at any our outlets if you happen to be around, located at CityLink mall #B1-45 (City hall MRT), or Square 2 mall #03-46 (Novena MRT) or #02-95, Harbourfront centre mall ( Harbourfront MRT), or KB-1 #05-02, (Kaki Bukit MRT) PLEASE CONFIRM WITH US HERE BEFORE SELF COLLECTION OR EXCHANGE, WE NEED TO PREPARE FROM WAREHOUSE AND DELIVERY TO OUTLET. or you may exchange any other item in shop (CAN TOP UP PRICE DIFFERENCE, BUT NO REFUND). Resend the correct 2 items by QExpress? 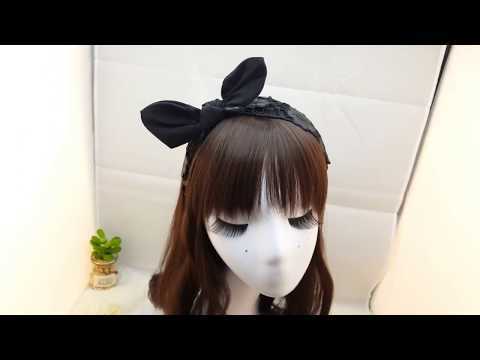 May I know which head band is the code U042 for? U043 is for black. I want to order the navy blue. Thanks. Hello seller is there a restock for DJC19 soon? Thanks! I have already written in memo during purchase not to ship my items. Will self collect. Pls verify. Thanks! If i opt to self collect from shop. How will my shipping fee be refunded? Pls choose a location below, and write a memo to us when you make the order. we will take 2~3 days for preparation, and SMS you once ready for collection. The shipping fee will be refunded by Cash Then, Thank you.